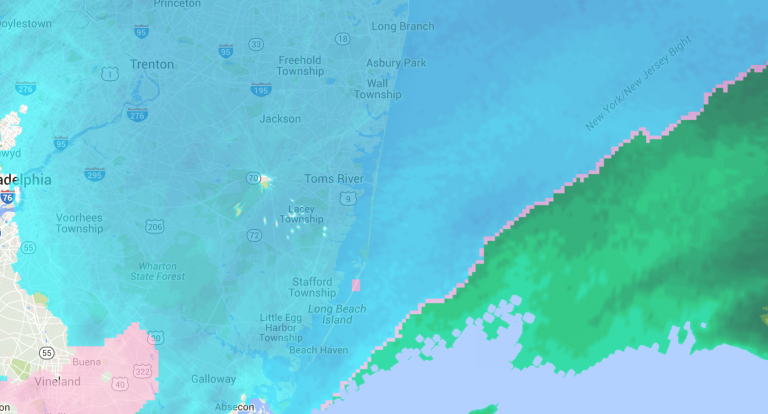 Radar image at 7:50 a.m. today, showing heavy snow at the Jersey Shore. That’s what the Ocean County Sheriff’s Department says. The roads are completely impassable. All of them. Do not go out. YOU WILL GET STUCK. Let the plows do their jobs. Our officers are out with multiple vehicles that thought they could make it. They failed. Do not make us waste our resources on poor decisions. This is no joke. Do not dial 9-1-1 for power outages. Stay safe out there. The National Weather Service expects blizzard conditions to continue throughout the day due to gusty winds blowing snow and creating poor visibility.